Determining how to fund your search process can have a significant impact while searching and afterward as a CEO and business owner. 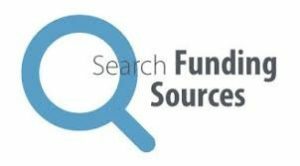 Over the past few decades, search has evolved in many ways, and in the process there have developed a variety of funding models that work to mitigate risks for searchers and investors alike. While many searchers, especially in mid-to-late career, pursue the self-funded approach, others view funded-search as a reasonable way to reduce their financial risk – earning a salary that covers living expenses, at the price of lower equity ownership in the purchased company. Searchers deal with the fundamental trade-off that all entrepreneurs face: being Rich or King and how much to put at stake to achieve the goal of being a CEO. In the traditional funded-search model, multiple investors, ranging from as few as 8 to as many as 24 invest to provide funding for a 24-month long search, totaling $360K to as much as $950K for a partnered search to cover salaries, benefits, travel and busted-deal costs. Investors receive a 50% step-up on their initial commitment when they invest in the business the searcher acquires. The searcher can earn up to 25% of the equity (15% each for partners) which typically vests 1/3 at closing, 1/3 over 4-years afterward and 1/3 upon attaining an IRR target of 25-35% upon exit. These terms are finalized when the business is purchased and may be reduced depending upon the size of equity raise required to consummate the deal. Searchers may select any geographic location to search from, but typically commit to a countrywide search and to using legal advisors with prior traditional search experience. There are approximately 75 active individual investors and perhaps a dozen “funds of funds” too numerous to list here, but easily obtained from various funded searcher websites. The LP investors all agree to the same terms and may become Board of Director members and/or act as advisors depending on their availability and history with the asset class. Investors require a PPM (Private Placement Memorandum) and generally a face-to-face interview to discuss search plans and the two or three target industries that will be initially pursued. Some investors may be unwilling to commit to a full unit, taking a ½ unit instead to expand their optionality when a deal is presented, while others may seek 2 or more units to put more funds to work and to engage in governance. During the search process, some sellers like to see “intended” capital, while others are less concerned about the make-up of the investor pool and remain focused on the searcher. One searcher says, “I obtained some modest amount of legitimacy as a buyer with my fund.” However, sellers may not like the implication that the searcher has “partners”, instead preferring to view them as a single buyer intent on running their business and protecting their legacy. The initial investors provide no firm commitment beyond the search itself as would be the case for Private Equity Limited Partners, and a typical searcher may see as many as 30% of the original investors “pass” on a particular investment. Searchers report that it may as long as 2-3 months to locate “new money” from the investor pool or outside investors. For an international searcher, most investors want to see at least 50% of the investment funds from within the country. The invested equity fills in the gap between the transaction price and the debt provided by a commercial bank and a seller note. Mark Anderegg of Little Sprouts indicates that “The merits of acquiring a company with $2M of EBITDA vs. $1M or less is just a different ballgame when you have the kind of resources afforded by scale. I became entirely strategic as we reached scale and value that my funded search allowed me to get into a situation where I avoided being entirely too tactical for an extended period of time, which is what a smaller deal might entail.” As Noam Wasserman points out in his book The Founder’s Dilemmas, a searcher has to examine their own motives; do you want a small slice of a big pie or the whole pie – to be Rich or King? Finding “new” search investors is challenging unless they come from close friends or family – search is still not widely understood by most investors. Paying someone a salary to look for a business while having little or no prior experience, for many is just a “non-starter”. Yet the statistics from the Stanford studies following these searchers reports a 73% success rate in finding businesses and in 72% instances reasonable returns for investors. The lack of new investors has led to the emergence of a dozen “funds of funds”, where an investor(s) oversee and manage 100 or more active searcher/CEOs at a time, allowing their own investor LP’s to take a less active role. Several “2nd generation family” investors have also developed over time. Today, there are also approximately 50 active individual search investors who may have as few as a half-dozen and as many as 50 individual investments. There is nothing particularly new about the self-funded model. Individuals have been purchasing businesses from sellers after some kind of search for years. However, between 2008 and 2017 Harvard Business School graduating classes have shifted from 36% self-funded to 62%, reflecting better understanding of financing structures that see equity ownership levels greater than 51%, averaging 70% and the relative ease in securing leveraged debt. Expenses while seeking a business to acquire are provided out of the searcher’s savings (See Blog Post – Cost of Searching) and capital is raised on a “case-by-case” basis to fund the purchase. With the advent of the SBA 7A loan program in the USA, raising funds against EBITDA history rather than collateralized assets has become much easier. Additionally, many local banks are offering “SBA-like” loans to stay competitive. An interest/principal 2-year holiday is also common with these loans. SBA-specific loan terms can make it easy to “blame the bank” when refusing a seller’s request to keep some equity in the business. Searchers view the higher debt load as having less of an “emotional” content than equity funding. However, most of these loans with a requirement for a personal guarantee (PG) that may be negotiated out in later refinancing rounds. Certainly, the PG causes searchers to reflect deeply on their own risk profile. Funding your own search gives you more equity, but it will take a while to recover if you fail to find a business. Also, if you must put 100% of your assets at risk while running the business, it is important to discuss this up front with your significant other, as I had to. (See Blog Post, Your Significant Other). Bank financing will typically allow total debt to be up to 75% of the purchase price, including the seller note. For the balance of the transaction the equity raise is in the form of a preferred stock class paying an annual return of 8-12%, and the prospect of 1.5 to 2.5 cash-on-cash return at a subsequent refinancing or sale of the business. The searcher retains 65-80% of the equity. In most self-funded cases, the searcher is not putting any additional cash into the transaction, having spent much of their savings on the search and reserving any of their spare cash for unexpected contingencies. The source of these funds varies widely as each searcher is different. It is not the same pool of “traditional search investors” who are generally not comfortable sharing with the searcher so much of the equity. Investors with Private Equity or Investment Banker background are generally unwilling to support searchers seeking over 50% control. Investors in self-funded search tend to be more interested in supporting the specific searcher in their quest to become a CEO, have knowledge of the industry or market of the business being purchased, and rarely have a lot of prior history in these investments and consequently these funds are raised from friends, family, contacts and High Net Worth(HNW). While a daunting thought at the beginning of your search, it becomes a much easier “ask” when you have a signed LOI on an attractive business! Many searchers are driven to this model because of the favorable economics. Other searchers with very constrained geographic requirements because of their significant other or family situation take this route. The size of the business purchased may range widely from $350K of EBITDA to $7M, with the average being closer to $1M. However, this choice does come with the added pressure of watching your own personal funds diminish with each passing month. The actual time spent searching based on 20 self funded searchers shows that some close down in 12 months; deciding that search is just not for them and move on to their own Plan B. Many extend beyond 24 months to an average of 29 months to close and one as long as 46 months. Since there is no “fixed time-frame” like the funded searchers have, there is a lot more time flexibility. To fill their “cost of living” gap, a few have taken on some side-line revenue projects with Catalant which allows them to “buy time” in their search. For some searchers, the degree of autonomy and independence is most important; they want to be “King”. Tyler Hogan at East Range Partners explained his own motivation, “I wanted to be an owner rather than a CEO, the title was never important to my partner, Mike and me. Now as owners, it’s incredibly motivating.” For advice, these searchers seek out non-investor advisors and mentors and rely on the “searcher network” for benchmark practices. In my own case, I closed down my first search after 6 months, realizing that I needed more personal funds to support myself for up to two years or more. 4 years later, I was much better prepared for a protracted search. This model allows the searcher to “test” their assumptions about search without being locked into a full two-year funded commitment. As one funded searcher said, “I should have shut down after 15 months and got on with my life; search was just ‘not for me’, but I felt obligated to my investors to stay the full 24 months”. Investors who want to be a “single source” of funds for searchers to more efficiently deploy their capital have evolved into two basic categories; funded and un-funded sponsors. Their funds may come from their own LP’s, a family office or the managing partners’ accumulated wealth. For a searcher, it may be much quicker to deal with a single investor when raising search capital, and when funding the acquisition. In some instances, there is an obvious link to the investor group, and searchers are identified as “Entrepreneurs/Executives”, “Partners” or “Principal and Operating Partner”, while other investors encourage their searchers to be separate, unrelated entities. A variant of the sponsored search model has developed in the last few years, providing more direct support for searchers by providing them with intern recruiting, common sourcing techniques and databases, dedicated support and frequent guidance on deal pipeline. The expected outcome is a much reduced “fail to find” ratio, down from 27% reported by Stanford. This process also captures much of the seller prospecting data and best practices to pass on to future searchers that is often lost when self or traditionally funded searchers close their acquisition. Modeled after Venture Capital backed these incubators, annual cohorts allow for a significant amount of daily interaction between searchers in each annual cohort and “boot camp” training support to accelerate the process. Economic terms are similar to traditional funded search. Search Fund Accelerator was the first to establish this format in 2015 with all working out of the same location. Others with a similarly supported model include Broadtree Partners, Generational Transfer Entrepreneurs, NexGen Growth Partners and SPUR Acquisitions. One searcher/CEO at an accelerator observed, “My cohort has provided daily support during the search process, and we are all within frequent contact now that I am operating the business”. Selecting the source of funding for your search is generally a decision made after other considerations are determined, such as geographic preference, whether you have a search partner, and available savings. Geography has the most impact is geography since many traditional investors are less interested in funding a searcher with tight geographic constraints. Your personal need for autonomy and control, and your financial reserves will play into your final decision. You will be deciding how much personal risk to take financially and whether you want to be Rich, King or Rich and Regal! This is a critical decision that you will live with for a decade or more. Extracting yourself from a search is very difficult, once initiated. There are lots of opinions, and each path is significantly different in a variety of ways. You want to make the most informed choice that is right for you and your own particular circumstances. Feel free to share some of your own best practices or experiences in dealing with these issues in the blog comments. I encourage comments and dialog, allowing all to learn from both my views and the views of others – a virtuous learning cycle. Jump right in! I frequently update individual blog posts, add to the Reference section and Search tips, so visit the <a href=”http://www.jimsteinsharpe.com”>www.jimsteinsharpe.com website</a> regularly. Jim- Great post! I am interested to know how traditional investors are thinking about geographic constraints. I have heard, anecdotally, that even when searchers claim to be willing to move anywhere and search nationally that own personal biases about location win out when it comes to pulling the trigger on a business. There seem to be more examples of a variety of searchers successfully purchasing businesses in desirable locations or re-locating their businesses. Rina, in reviewing a dozen traditionally funded completed searches, only 2 or 16% ended up closing on a business in the location the searcher was located and I don’t see a trend. Typically, targeting EBITDA ranges above $1.5M requires a wide geographic net to be cast. The two year salary window also provides pressure to expand geographic range as searchers move beyond their first 9 months. Hi Jim – Very insightful post! I’m considering a self funded search given my geographic constraints and desire to be an owner. However, I’m concerned about being able to raise the equity needed. Have you seen cases where searchers have successfully worked with boutique investment banks to help raise capital? If so, can you share the details? Why is this avenue not talked about much within the context of self funded searches, what am I missing? John, most self-funded searchers overly-worry about raising equity too soon. It is best to approach investors once you have a deal under LOI, else you run the reputational risk of not having the terms and specifics of a deal; they won’t invest in generalities! Searchers manage to find all their investors once they have a deal in hand. “Boutique investment banks” are not comfortable with the searcher holding 70-80% of the equity and being only one out 10 in the investor group. This is why you are not hearing about this avenue. For a very large deal where the equity amount is over $5M, you will see a PE firm step up, but the searcher will be down below 25% of the equity. Jim, thanks for the very insightful post, as always. You mentioned some self-funded searchers have been able to create some side-line revenue streams to buy more search time. Do you have any examples of efficient and minimal-time consuming side-jobs searchers have pursued that have been effective? Thanks you for your guidance. Eshan, a great question. I do not advocate searching “part-time”, however, many self-funded searchers experience a form of “range anxiety” because of an often self-imposed geographic restriction, they may need to plan for as much as 30 months to get to closing. It may be that their significant other is becoming anxious about their self financing or the searcher feels a desire to provide support for their family. I have seen some weekend/evening activities including ghost writing a book, school admission coaching/counseling, teaching, project work for ex-employers or network colleagues and one-off projects with Catalant. Living “lean” is a strain on searchers and those around them and sometimes these trade-offs help ease the pain and buy time for the process. Search on!!! I’m new to the search concept and am fascinated. What is the process for obtaining an SBA loan? Would a self-funded search first obtain the loan and then search or search, find a company and then obtain the loan? Is it possible to fully fund a buy with just an SBA loan? Daniel, welcome to learning about search. As a self-funded searcher, once you have a business under LOI, you can then seek out banks who offer SBA loans. Banks providing financing like to see a seller note and at least a minimum amount of cash from you and/or your equity investors at closing. The upper limit is $5,000,000 on an SBA loan. Keep researching, there is a wealth of information about SBA financing on the Web these days. Search on! Great post! I’m starting a self-funded search, and I’m running into a bit of a chicken or the egg problem. Business brokers and other entities use capital on hand as a screening mechanism for introductions to their sellers. My friends who have closed rounds with a traditional fund have no problem getting through this stage–they just have to point to all of the investors on their website. If capital is fairly easy to find with an LOI in hand for a good deal, how do self-funded searchers get over this initial hurdle? Alison, I understand the dilemma you are facing. Brokers and entities may use this as one of the ways to “qualify the buyer” and funded searchers actually face the same situation. Self funded searchers often put together an advisory board and point to them as potential investors. Some investors will even provide a “soft” proof of funds letter for the searcher to use in these instances. Searchers report that only a small minority of brokers actually require this, but they all worry about it up-front! Be sure to cast your net out to a large number of intermediaries, but be prepared to face this rejection and move on to the next seller. Developing a “narrative” to use with brokers to gain their confidence is part of the learning experience that every searcher goes through. Have the confidence that you will get beyond these initial setbacks, your proprietary search should not face these obstacles. Welcome to the search community. Search on! Do you have any data points on searchers starting off self-funded and then subsequently raising a traditional fund if they aren’t successful or run out of savings? For example, they gave themselves 12 months to self-funded a search and weren’t successful, then went and raised a traditional fund? Would this lack of initial “start up” success be poorly received by traditional search fund investors?